Call it a second post-Communist Romanian revolution: artists are reshaping the scene just as quickly as they can keep the clubs open. Meet Admina and Corp.
We were inspired by Admina’s performance on the Moogfest stream, and her musical reputation precedes her, as a kind of hero to similar counter-cultural scenes tucked here and there worldwide. Simona Mantarlian, a DJ/critic, Bucharest insider, and native Romanian herself, talks to Admina about the scene and how it connects to musical life . There, finding a space is a matter of personal, creative, real survival – but it’s also working, and that means there’s a lot for us to learn from Bucharest’s fringe frontiers. -Ed. Bucharest is a fast-paced stellar ride, defying entropy, as its underground dance clubs open — and reach insolvency — and find another way to surface and go on. We’re talking about epic places like Ponton [see here and here for an impression], then Kran, and also the abrupt curve Control Club has followed after its rebranding, where underground bookings came back on the roster after a posh-makeover-phase. The constant that drives the process lays in the strong crews of selectors, who never compromise in the quality, levity, and obscurity of their finds. A new crew called Corp. caught our attention through its podcasts and intense activity around the scene. The female and queer collective, founded by [European supported] SHAPE platform resident Chlorys and DJ/ producer Admina, pushed a new generation of musicians whose voices challenge the male-dominated status quo. 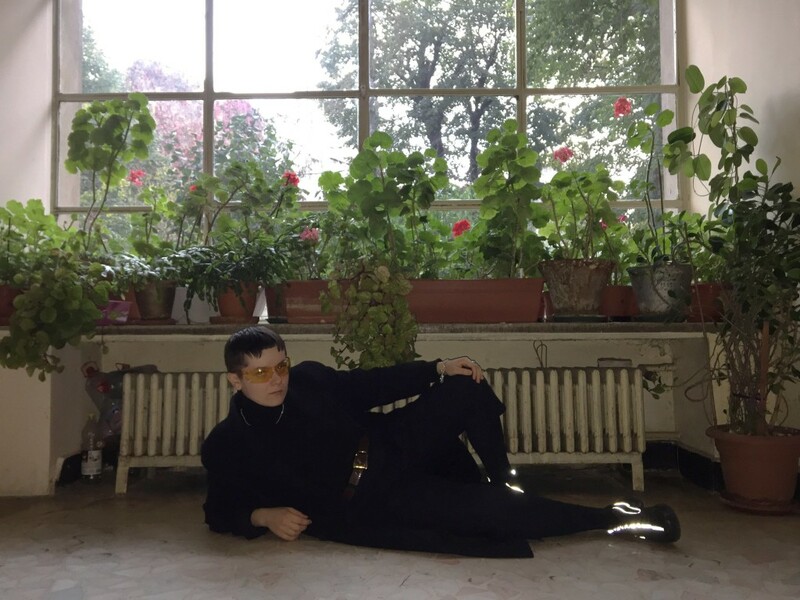 We spoke with Admina about the context of Corp.’s philosophy, and took a virtual trip to Bucharest’s queer parties, transporting us to a new post-Internet realm, and beyond. Simona: First, what is Corp., and what are you up to with it? Admina: Corp. is a Bucharest-based project and platform. It aims to represent and showcase female-identified musicians and DJs in electronic music, while also being dedicated to acquiring and exposing obscure sounds, spanning from experimental and traditional forms to contemporary ones. Its activity is dedicated to broadening the focus on female-identified artists within the context of Bucharest’s local scene, as well as beyond the borders of the country. The main urgent drive behind Corp.’s initiative is to open and sustain a studio where women will have the space and time to further develop their skills and communicate. Corp. members: Admina, Beatrice Sommer, Chlorys, Cosima von Bülove. A few weeks ago, you were part of the all-female-identified stream that launched Moogfest. What did it mean for you to be involved in this Moogfest stream, and in the lineup? Is it significant to you that they did choose to feature women and non-binary artists in this context of the stream and announcement? Being part of [Moogfest] is a good opportunity for me and also for Corp. It’s great exposure; I’m really glad and excited that I’m part of the show. Can you tell us a little bit about your live performance there? I thought of myself being most of the time a nostalgic and melancholic person. Music was also a guide for me. It’s hard to show those feelings while you are playing a set for people to dance, but I always try to get that feeling on the stage. So maybe I will use this opportunity embrace this through dark and experimental sounds — a little bit of sadness and nostalgia. So, “destroy patriarchy.” Is patriarchy at home in Romania? What is the society like? Every society is to a certain extent patriarchal; each society “encourages” differences between men and women, in the way they are educated, treated, taught, etc. Romania remains a patriarchal society, where women are perceived mainly as wives and mothers and are denied access to more powerful positions in the business world. How does Corp. as collective relate to that? Gender inequalities are a reality in our country. Corp. is proposing an incipient ambition to construct a new language for sexual (gender) politics in the Romanian electronic scene and clubbing. We want to establish identity as power, a collective visibility. Identity as a declaration of the self, identity as claiming and naming common qualities. There weren’t many women DJing in Bucharest, say, two years ago, and we can rightfully say things have changed. What was the reaction of the guys in the scene? Were they helpful with putting up Corp. gigs at the clubs they were booking? Parallel to Corp.’s foundation in Romania, in Western Europe and America, voices of women in electronic music began to be heard. And their gender equality statistics were worrying already for many festivals and clubs around the world. So, when we started Corp platform, let’s say that the idea was well received, the promoters and organizers have begun to pay more attention to gender equality in lineups. 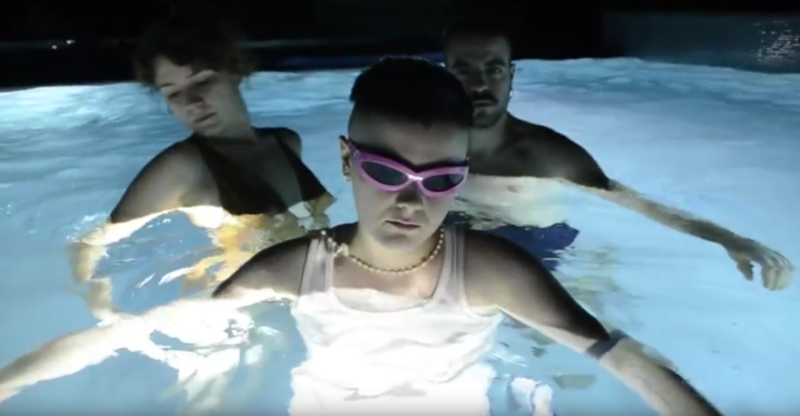 Watching “Destroy Patriarchy”, the video for your first single, I recognized a lot of new DJs from Bucharest who are getting popular right now, beyond the limits of Bucharest-universe (Beatrice Sommer, Paula Dunker, boivoid, Ana Secheres). Some of them learned their skills via Corp. crew. What made you decide to do the opposite of what everybody does – share knowledge instead of putting extra effort to make it even more inaccessible? The project also aspires to go beyond the performing artists and to include studio musicians, producers, sound engineers, technicians, cover artists, distributors, promoters, and festival organizers. We want to share everything we know with others. It’s not a big deal to play music. It’s simple, you just have to enjoy music and have the pleasure to share it with others. Why not be accessible to everyone — especially women and queer people who did not have access to technology, or trust to do it? We want to build that trust together. Let’s remember that music is there to bring people together and to create a community. Back to “Destroy Patriarchy”, where did you record and mix the music and what’s the gear you used? “Destroy Patriarchy” is a reaction to an oppressive system, aiming to send out a clear and empowering message. The video was recorded at Kiseleff Park in the specially-designed space for outdoor fitness. The music I made it in Ableton using an Akai MPK Mini MIDI controller. Your nickname has an early internet / message board-era ring to it. How did it find you? What is your connection to the Internet? Everything started with the word admin, and that was my first idea of DJ nickname. At that time I managed Facebook pages to make money, and it was just funny to call myself like that. And because in English the word didn’t have a feminine pronoun, I only heard about administratrix, which sounds totally hot, but it was too long and I didn’t want that much to assume a gender since I identify myself as a non-binary. With all of that, my friends have found a way to feminize it. Putting an “a” to the end, made it sound more feminine in Romanian. After that I found out, that Admina is actually a name, a Hebrew name, and it means “Of the red earth.” “People with this name have a deep inner desire to inspire others in a higher cause, and to share their own strongly held views on spiritual matters.” I said it was perfect for me. What is the earliest memory that you track your obsession with music to? When I was very young, I wanted to play the violin, but I went to fine art school eventually, because my mother had no money to buy me a violin and it was impossible to go to the music school without it. Now I am very glad I didn’t. I consider my visual experience very useful and closely related to how I understood music now. What is the starting place you’d recommend to someone who never got into electronic music before? To trust themselves … I don’t know what point is best for someone. Just begin with what they have already, and they will learn on the way what they need. It’s good to have a limited number of tools; it makes you more creative. Tell us about a fun club experience we missed in Bucharest. It’s good to know that we have Queer Night. It’s the only fun club experience I really enjoy ever ytime, because we all can be ourselves. Also we intend to organize our own parties in Bucharest so — be prepared!